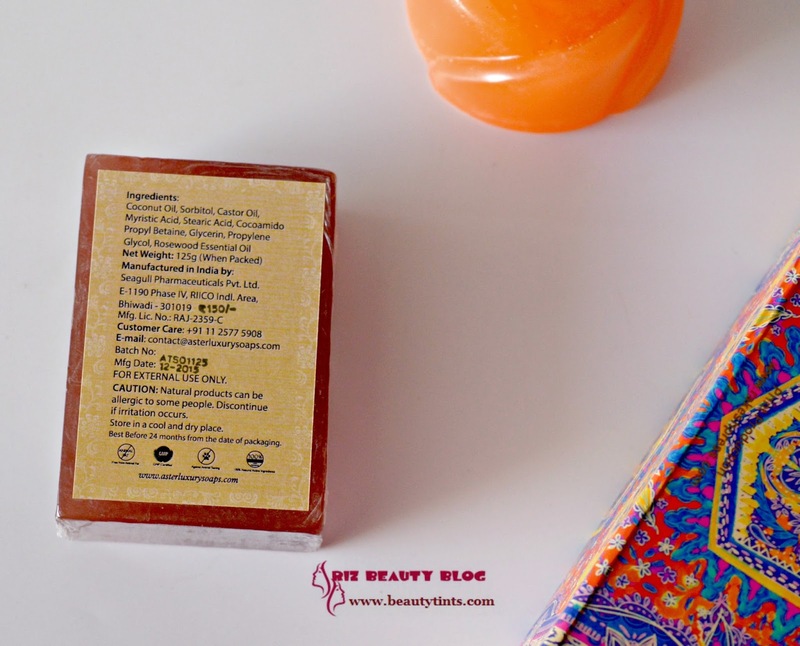 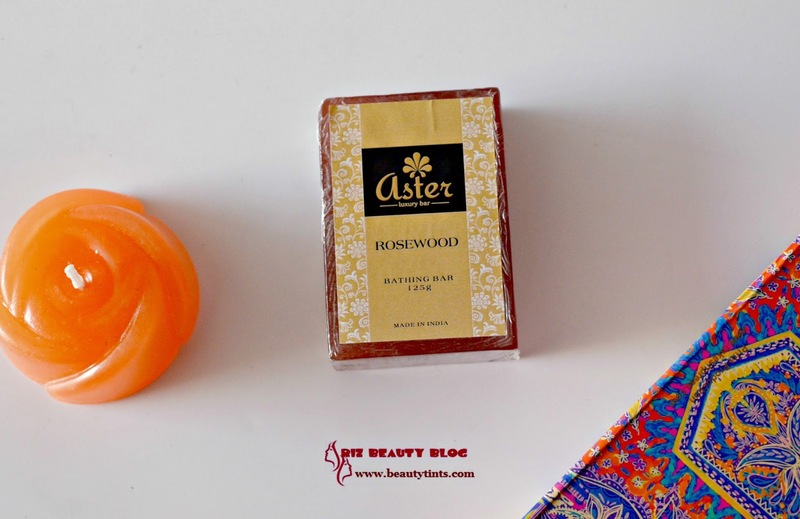 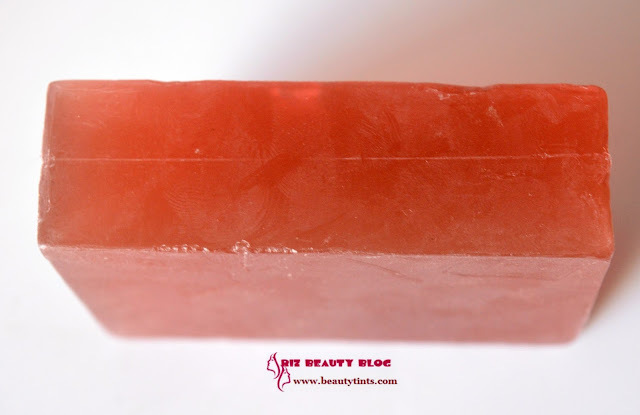 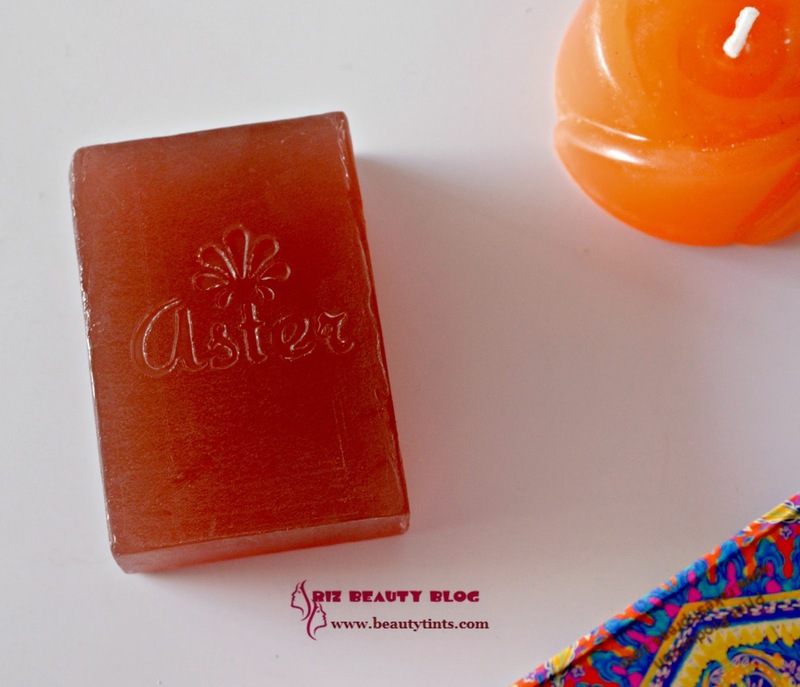 Sriz Beauty Blog: Aster Luxury Bathing Bar Rose Wood Review!!! Recently I reviewed the Cinnamon soap from Aster Luxury Bathing Bars, today I am reviewing one more newly launched variant ,which is their Rose wood Variant. 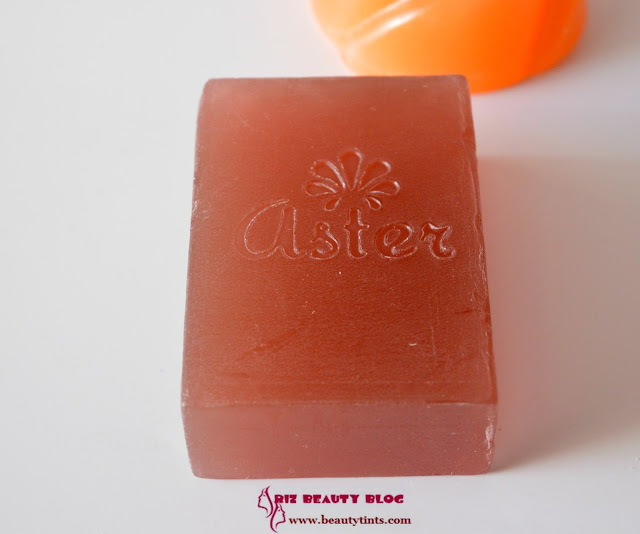 Color and Texture : This is a pale red colored translucent soap with the brand name imprint on it and has a soft slippery texture. What the Product Claims : Aster Luxury Rosewood aromatic & aphrodisiac bathing bar has amazing stress relieving properties. 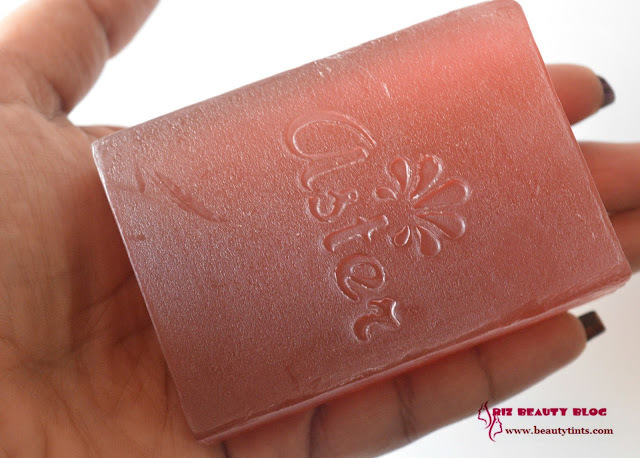 This sweet smelling soap removes the bad odour and keeps you refreshed for longer. 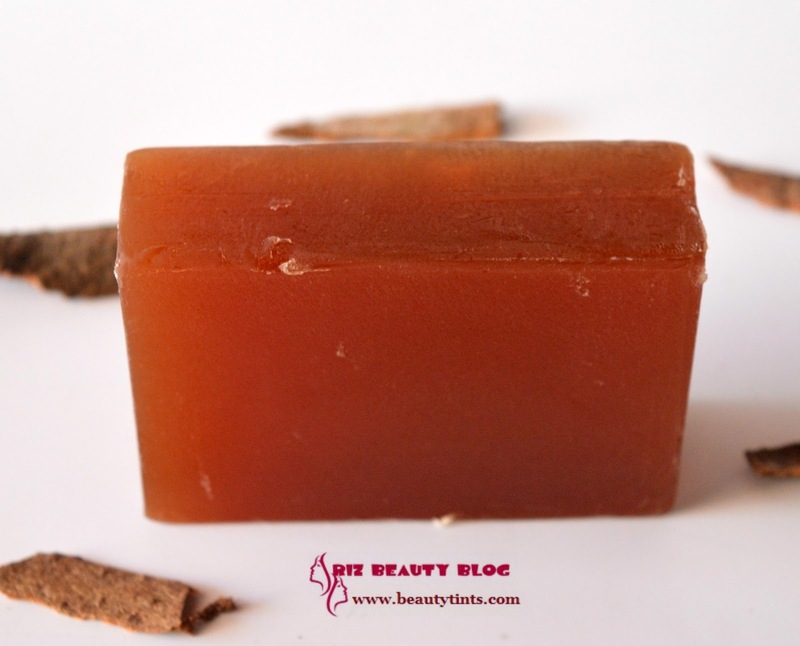 It is good for your skin as it keep you safe from skin diseases, acne and wrinkles. 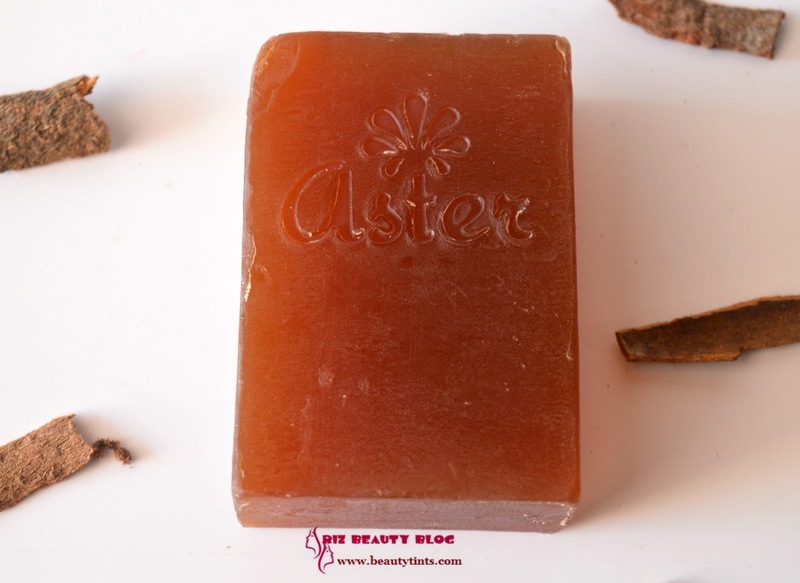 This soap removes impurities from the skin and makes it healthy, soft and young. 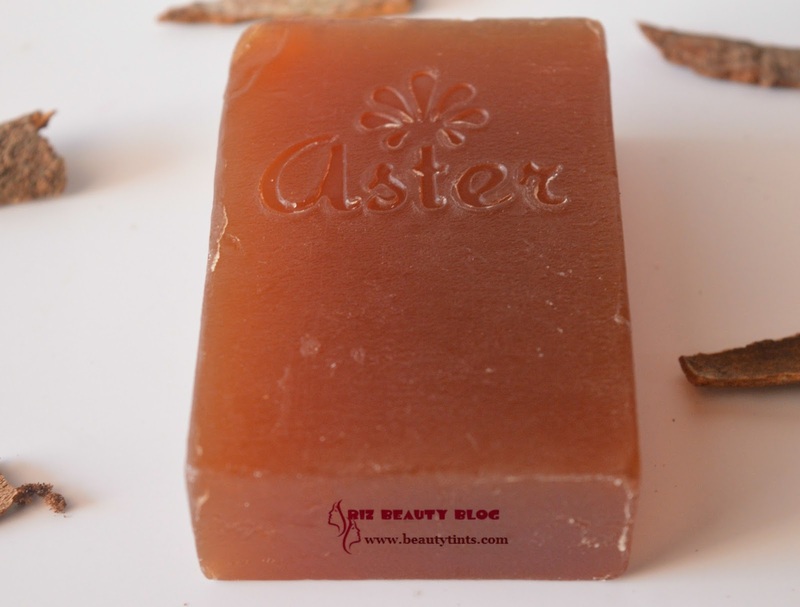 Ingredients : Coconut Oil, Sorbitol, Castor Oil, Myristic Acid, Stearic Acid, Cocoamido Propyl Betaine, Glycerin, Propylene Glycol, Rose wood Fragrance Oil. 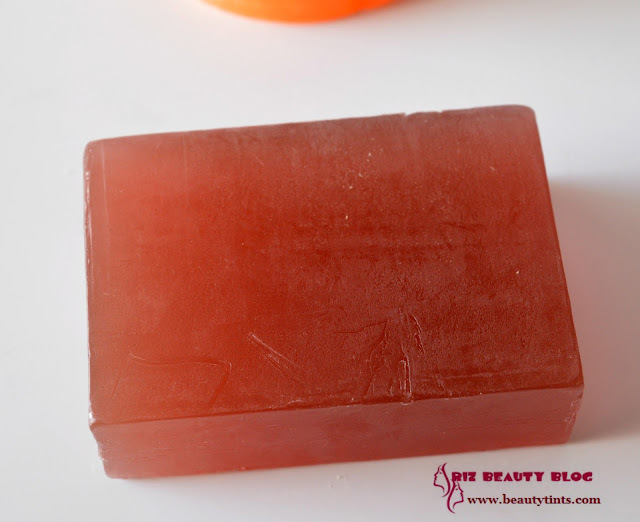 My View On the Product :This Red wood soap is a pale red colored translucent soap,with a soft texture. 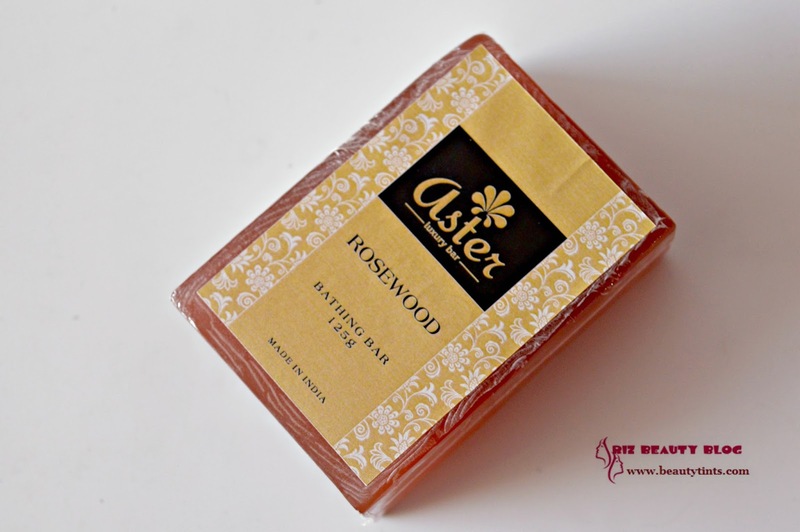 It has a very unique fragrance of mixed lemongrass and eucalyptus fragrance, may be it is the rose wood fragrance,I am not sure though!It is a very revitalizing and a bit strong fragrance yet very relaxing.It lathers moderately as it doesn't contain any artificial foaming agents but cleanses the skin thoroughly removing all the dirt and grime from deep with in and makes skin squeaky clean.It hydrates the skin thoroughly, with out drying out.It makes the skin smooth and radiant.It does not melt easily and retains its shape till the end like all the other variants if little care is taken in drying.It contains the goodness of coconut oil,glycerin and castor oil.The rose wood helps in reducing the bad body odour and keeping the skin clear with out infections.This is a perfect soap for summers.It is free from parabens and other harmful chemicals.It is against animal testing and does not contain animal fat in it.It is quite affordable for the quantity and goodness with which it comes! 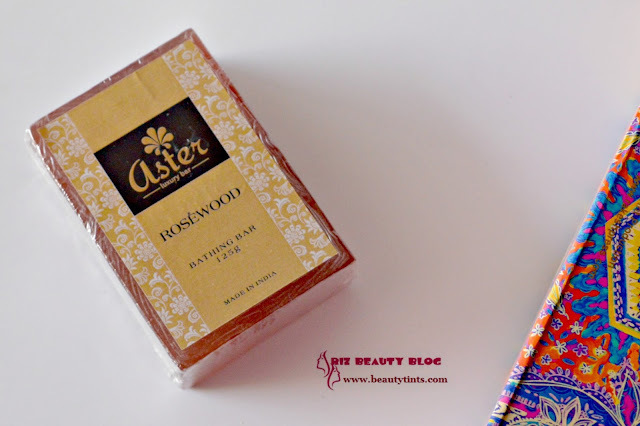 Final Conclusion about Aster Rose Wood Luxury Bathing Bar: Those who sweat a lot and who have body odour problem,especially in summers should give this soap a try!! !